Léargas: BRINGING IT ALL BACK HOME. This article comes to you from the USA. It’s an interesting time to be here. The mid-term elections for the Congress; for some Senate seats; and for governorship and state legislatures and a host of other elected positions will be over by the time you get to read this. And you will know the results. But at the time of writing on the eve of the election everyone I have spoken to is focussed on what is going to happen. Will President Trump consolidate his position? Or will he lose out? Will the Democrats take the Congress? 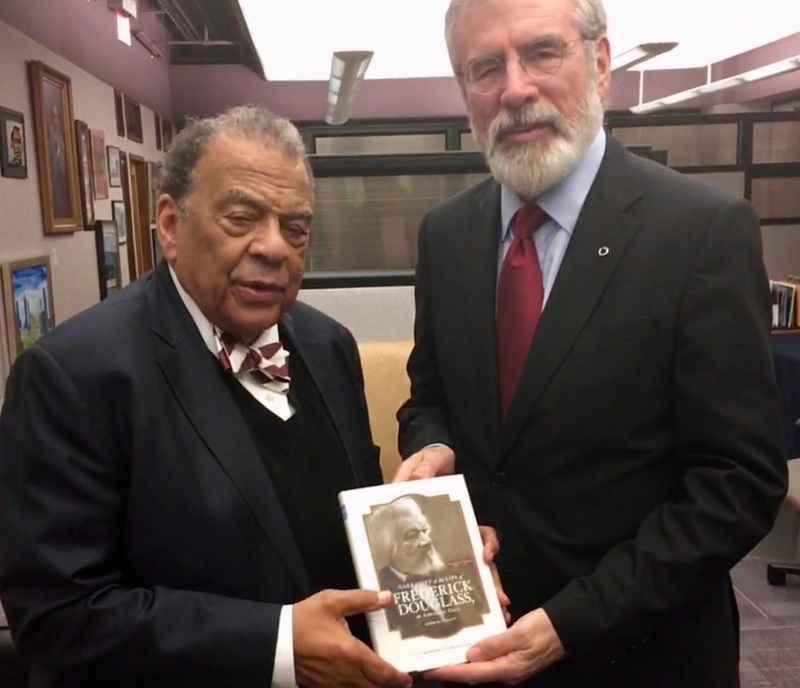 Sinn Féin steadfastly refuses to get involved in the domestic politics of the USA. Our cause here is the cause of Ireland. Of course we oppose many aspects of US foreign policy and I myself have raised these with previous administrations. As I travel from New York to Nashville to Atlanta and back to New York I am also conscious of the homeless people I see in all these cities and the other signs of poverty sitting starkly alongside affluence. This is a time of political discord here. Perhaps it was always thus but there is an edge to it that wasn’t so obvious during other times that RG and I spent here. The visits to Nashville and Atlanta were a reconnection with the Irish diaspora there. I got a sliotar from Nashville’s local GAA club. But the highlight of that visit was the meeting with veterans of the civil rights struggle last Saturday morning. We visited the Civil Rights Room in the Nashville Public Library. There I was honoured to meet with two former civil rights leaders Rip Patton and King Hollands. 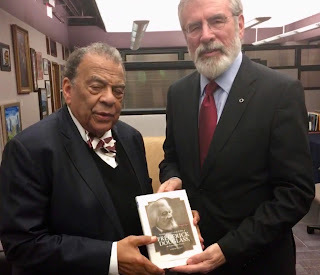 They and around 50 local people had come along to hear me talk about the connections between the Civil Rights Movement in the USA and the Civil Rights Association in the North in the 1960s. The two civil rights leaders had participated in the famous Woolworths Lunchtime sit ins in 1960 and were among the freedom riders, many of whom were arrested and imprisoned. At that time black citizens were not allowed under the draconian segregation laws to sit at whites only lunch counters. There was also violent opposition to the integration of the interstate transport system. So some courageous women and men, black and white – freedom riders – took to the buses and trains to challenge segregation. Many were beaten and hundreds were imprisoned. The Civil Rights Room is a time capsule of all of this, including imagery, photographs, and books of that dangerous time. Later I visited the Woolworths building and met up again with Rip and King, and with Judge Richard Dinkins, another veteran of those days. We briefly sat at the lunch counter where almost 60 years ago African American citizens were attacked. Later at a lunch they recounted their experiences of those days, including arrests and assaults, before we sang ‘We shall overcome’ to our surprised guests. In Atlanta Richard and I visited the ‘Centre for Civil and Human Rights’. The filmed reports of those hard days can be watched on screens, including Martin Luther King’s ‘I have a dream’ speech along with the speeches of others. You can relive the sit-in protests at a lunch counter, by closing your eyes, and putting on ear phones to hear shouts of abuse which grows steadily until the voices are shouting and your seat shakes. It’s a very visceral experience. 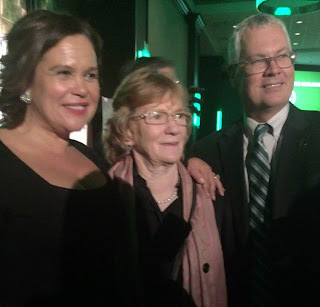 On Tuesday evening I will address the Friendly Sons and Daughters of St. Patrick’s dinner before heading back to New York for the annual Friends of Sinn Féin New York dinner. This will be our 23rd annual dinner. The first was held on May 10th 1995 in the Essex House Hotel in New York. 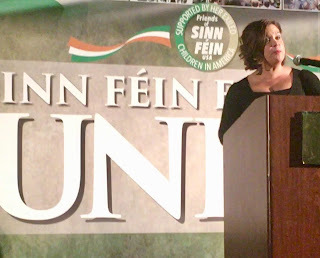 This year Mary Lou McDonald will be making her inaugural speech as Uachtarán Shinn Féin. I will be introducing her. She will then go on to do the same in Toronto in Canada. Our party has been well served by the people who organise this key fundraising event, especially the Dinner Committee. We have also been well served by those who have worked with us in north America since Friends of Sinn Féin was established. Ciaran Staunton was our first representative. Followed by Mairead Keane. They did exemplary work. And the indominatable Rita O Hare has represented us diligently and tirelessly since then. Friends of Sinn Fein has been led by Larry Downes, the founding President and mainstay of the organisation for a very long time. He was followed by the late Jim Cullen and we are now fortunate to have Mark Guilfoyle in that post. They have been ably supported by countless others in cities and states across the USA and Canada – too many to mention – who I have had the great pleasure and honour to work with. I have been uplifted, moved, inspired and encouraged by all of them. 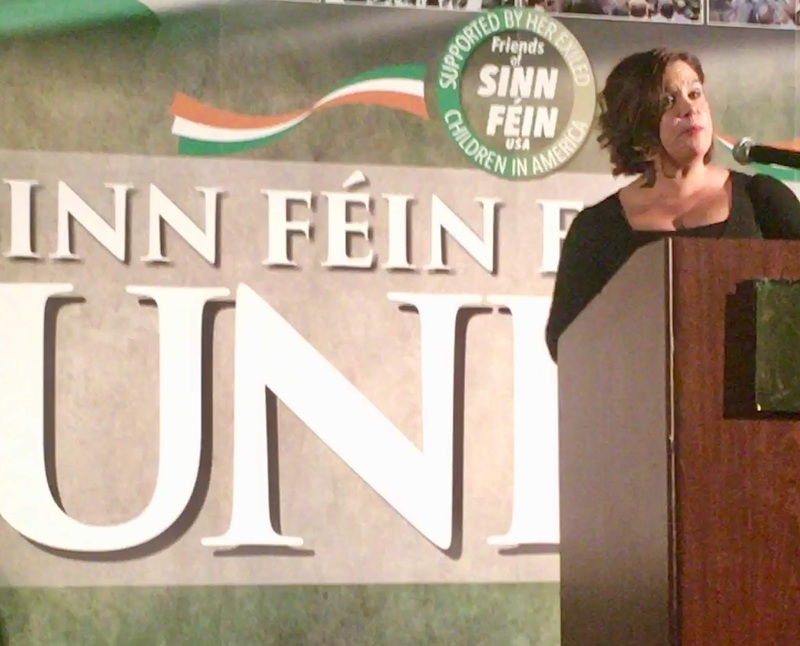 And I am confident that they will continue to work closely with Mary Lou as we enter a new phase of struggle, under a new leadership determined to secure Irish unity.